The tech has the potential to radically help the treatment of patients with dementia or Alzheimer’s disease. 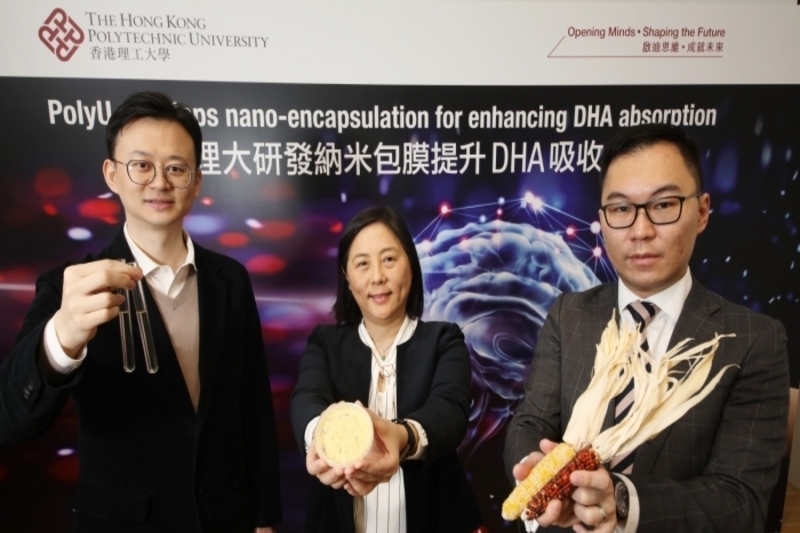 According to a recent press release, the Hong Kong Polytechnic University (PolyU) announced the findings on its novel nano-encapsulation technology for optimising the maternal and fetal absorption of docosahexaenoic acid (DHA). The research, conducted by PolyU’s Department of Applied Biology and Chemical Technology (ABCT), aimed to address the delivery and absorption issues of DHA that affect its potency and efficacy. DHA, a type of Omega-3 fatty acid naturally found in breast milk and fish oil, is an important nutrient for the development and function of the brain. It is primarily obtained from the diet and preferentially transferred from mother to fetus across the placenta during fetal life. However, for people with a problem in getting sufficient DHA from normal dietary sources, particularly those in late pregnancy, early childhood, or with cancer or declining cognitive abilities, DHA supplementation is recommended. Given DHA is highly unsaturated and is vulnerable to oxidation and degradation under acid conditions, it is uncertain that the intake of DHA through supplementation will be effectively delivered and absorbed in vivo. The research team innovated a nano-encapsulation technology to protect DHA from oxidation. The team used Zein, an edible corn protein, as the encapsulation material to mimic milk fat globule membrane. The nano-encapsulation forms a core-shell structure to protect DHA in fish oil throughout gastric digestion and facilitate DHA absorption in brain, intestine and placenta. It was noted that the nano-encapsulation technology has been proven to be an effective technology to protect DHA from oxidation in vivo, thus enhancing the absorption and efficacy of DHA. The findings also indicated that the technology can help overcome the blood-brain barrier in DHA delivery. This will, therefore, allow for the technology to be further applied to enhance the efficiency of drug delivery for the brain, such as those for patients with dementia or Alzheimer’s disease. The results from their experiments with mice indicate that DHA, being protected by the encapsulation structure from oxidation and degradation under stomach’s acidic conditions, is successfully released in the upper two parts of the small intestine of the Nano FO group. In addition, the DHA contents in the brain of the Nano FO maternal mice were significantly higher. 6) Nano-encapsulated high dose fish oil (Nano FO-high). For the Nano FO-high group, they had a higher amount of Brain-Derived Neurotrophic Factor (BDNF) in the hippocampus. BDNF, a protein activated by DHA, plays an important role in supporting the survival of existing brain neurons and encouraging the growth and differentiation of new neurons and synapses. They also demonstrated a significant difference between other groups in terms of better spatial learning and memory abilities in the Y-maze experiment.